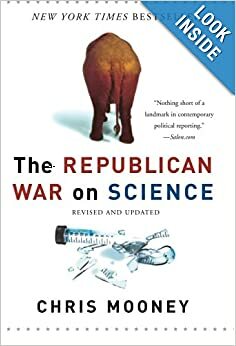 The Republican War on Science is no small part of the motivation congress has to shut down government. Part of the Tea Party narrative is that righteous God-fearing, science denying ‘Merricuns are targets of Godless watermelon commie scientists and their pesky facts and data. Jennifer Bogo, articles Editor of Popular Science, bumped me with these items. As the icebreaker Laurence M. Gould barrels south through the Drake Passage, cutting through the largest ocean current in the world, its portholes look exactly like a row of front-loading washers. Waves relentlessly churn against the glass. Above decks, they crash over the stern. Passengers—those that aren’t sleeping off seasickness meds—place their dinner plates on sticky mats and learn to walk with the ship’s rolling gait. This is the only way to reach Palmer Station, the smallest of the three U.S. Antarctic research stations. It takes four days. And the scientists who arrived there last week are about to make the same journey back. But for them, a quick round-trip through some of the world’s roughest waters is hardly the worst part of the government shutdown. Last Tuesday, the U.S. Antarctic Program, funded by the National Science Foundation, announced it would be sending the three U.S. Antarctic stations into “caretaker” mode, suspending all research activities not essential to human safety and the preservation of property. By Thursday, all of the scientists at Palmer will be sent home, leaving the station with a skeleton crew of about a dozen contractors; if the shutdown continues, the disruption to the Antarctic summer research season could be catastrophic. Scientists at Palmer have been meticulously studying the Antarctic marine ecosystem—including all of the life in it, from microbes to penguins—every year since 1990. As a result, they’ve found themselves in the hot seat of climate change. The mid-winter air temperature along the West Antarctic Peninsula, where Palmer is located, has increased by 11 degrees Fahrenheit over the past 50 years—five times the global average. Scientists have also documented stronger surface winds, cloudier skies, more snowfall, less ice, and warmer ocean water. Understanding the significance of these changes in Antarctica, where the ecosystem is relatively uncomplicated, could help tease out effects to other areas of the globe. In Punta Arenas, Chile, Vivancos, a recent graduate of Columbia University, boarded the Laurence M. Gould, an icebreaker that would take him and others across the Drake Passage and to the National Science Foundation’s Palmer Station. 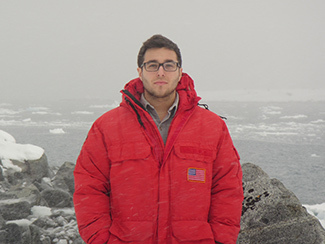 Vivancos, who plans to start a doctoral program in the geosciences next year, was going to stay in Antarctica six months, while he and other scientists, part of the Palmer Station Long Term Ecological Research program, collected data on ocean chemistry and biology. But on the day they arrived, he and other researchers were told they would have to turn around and go home. “The station manager officially notified us that Palmer Station had been put on caretaker status since there was no official budget, which meant no money had been appropriated to conduct our research. Hence, there was no science to be done,” Vivancos said. The National Science Foundation announced Tuesday that it was putting its three Antarctic research bases in caretaker mode, with only skeleton crews remaining to maintain the stations. Antarctic researchers in the United States who had been readying for their field season are now scrambling, trying to make alternate plans for what research they might be able to accomplish once the shutdown ends. “We are just trying to come up with all sorts of plans, a Plan A, Plan B, Plan C,” said Diana Wall, a soil scientist at Colorado State University who is part of a team that conducts long-term ecological research in Antarctica’s dry valleys. The group of researchers Wall works with were planning to meet yesterday and today in Boulder, Colo., to come up with several contingency plans for the research season. As Wall and others described it, scientists whose field seasons are affected by the shutdown are only in sporadic communication with the few employees of the National Science Foundation who are not furloughed, like Scott Borg, who heads the Antarctic science portion of the NSF’s polar program. Many affected researchers are gleaning much of their news from contractors and from other media reports. Right now, the only thing they can do is make backup plan after backup plan. “If there is a chance, say next week, they say, ‘All of you can’t go, but you can go and do XYZ.’ We need to come back with, ‘This is our first priority, this is our second priority, this is the data that can’t be missed,'” Wall said. The impacts to climate research, which relies on continuous series of data, could be significant. Hugh Ducklow, a professor and biological oceanographer at Columbia University’s Lamont Doherty Earth Observatory, heads up the long-term research program at Palmer Station. Researchers have 22 years of continuous observations from that site, which include measurements of ocean chemistry and biology. An unbroken series of observations on Adélie penguins, which in that region have experienced population crashes as sea ice disappears, goes back to the mid-1970s, Ducklow said. Vivancos, who will soon be heading home instead of conducting research, was part of the Ducklow team that just arrived at Palmer. They were scheduled to go out in Zodiac boats and start taking ocean measurements for the year. Samantha Hansen, an assistant professor of geological sciences at the University of Alabama, was set to leave for Antarctica on Nov. 4. The government agencies she would normally turn to for information are shut down, and she has graduate students whose theses depend on what emerges from the dirt and snow of Antarctica. Except that the United States (for example), isn’t a democracy. It is a Federal, constitutionally-based republic, was conceived as a such, and so it remains. Screw your “democracy” and mob rule. Epic History and Civics 101 FAIL, MorinMoss. As noted before, you have trouble with definitions. NO, I have trouble with your post-modernist, revisionist, bullcrap definitions. The United States of America was founded as, and remains, a Contitutionally-based Federal Republic, no matter how hard you petulant, crypto-Marxist “Green” fascists stamp your feet. Which is a form / variant of democracy. And that doesn’t change despite your rantings. My “rantings” are both accurate and justified. Otherwise you wouldn’t be bothering with a response. “the US is a republic” mantra has been standard boiler plate for the John Birch Society and its descendants for a half century. “Mob rule” is code for allowing non-white, non-rich, non-christian, non-males have the vote. Oh yeah……the old “racist” B.S. angle that you Leftist fascists adore so much. Since when does opposition to your totalitarian Marxist “progressive” fascism comprise a “race”? Let’s see………there’s Asian, African-American, Latino, Caucasian, and Resistance to Marxist Fascism. You’re all such drooling, obedient little Leftist drones. did someone say “too easy”? KKK = Founded by the “Democrat” terrorist party. Everyone knows that you Leninist pinheads are immune to truth. You are not allowed to apprehend it. It is not permitted. Did they not teach 20th century history in your home school? if only there were some way that this could be CRAMMED this into your idiot, post-modernist, recalcitrant Leftist pin head. LET THIS MEAN SOMETHING TO YOU, you neo-Bolshevik DemonRAT p@ntloads! Next, you’ll claim that Wikipedia is some sort of “Right wing Christian, Tea bagger …right wing….hater, racist CONSPIRACY”…., or some HuffPo / Daily Kos Stalinist doubletalk. Two things you desperately need – to study US history after 1960 and prescription medication. Ask your physician today if Democrat-provided healthcare is right for you. This *is* history after 1960. The Wikipedia article that I cited and quoted started in December 28, 2001, and is current and maintained as of today, October 27, 2013, you pantload. It is clear demonstrably objective truth cannot be crammed into your idiot DemonRAT/communist brainwashed skull. Oh, and the oh-so-imaginative, Stalinist “take your medications” angle. Right out of the 1930’s USSR. You’re like a stuck record. All you Obama Zombie socialist-fascists think and talk in lockstep. You’re all mindless, unimaginative little Leftist “Green” (RED) drones. The saddest thing is that you all are utterly, blissfully unaware of it. It’s like you’ve been vaccinated or immunized. Utterly pathetic. All of you. You’re hopeless. An entire generation, lost. Unfortunately, we’re stuck with you. We’re stuck with you too, TinCup. ok, as amusing as this is, let me explain the rules. You can stay, you can post, you can disagree, you can offer opinion, you can even make fun of someone, but you may not call people names. Save your meltdowns for elsewhere. We’re all open to new information at any time – it’s nice if it has something to do with climate change or energy. Anyone will tell you that this blog is known as an open forum, but there are limits, and I’ll decide what they are. You’ve been reasonably tolerant of dissenting views so far, which is commendable.